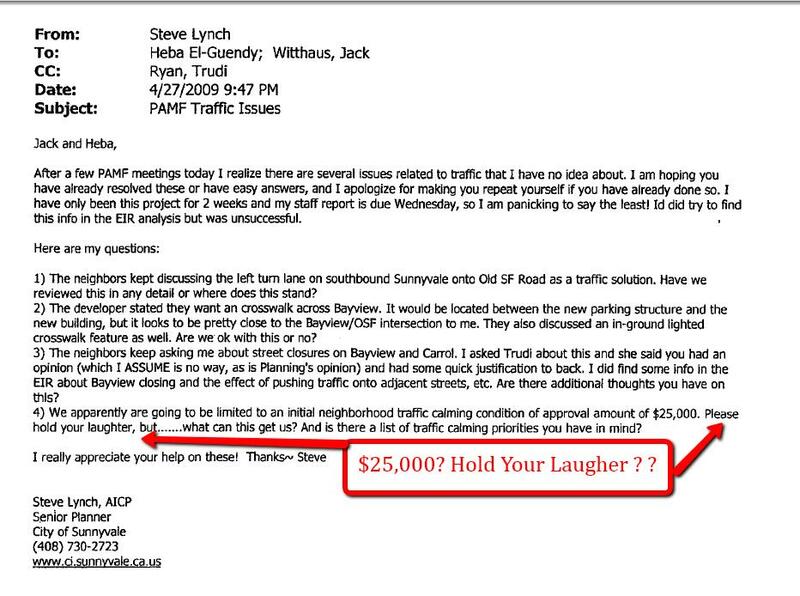 Imagine your residential home located just 5 houses away from the proposed Sunnyvale Palo Alto Medical Foundation to soar 52 Feet Tall, with a combined medical building and underground garage to total 300,000 square feet, including over 800 parking spaces and never being notified of the plans. Click here for the PAMF building webcam activity. Bottleneck Traffic in Line for PAMF Site? 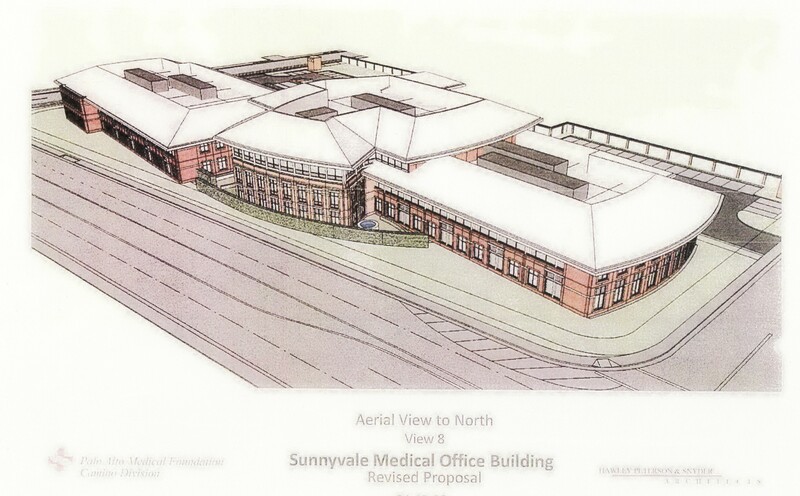 PAMF’s planned location of the ambitious $120M, 270,000 square foot, 5 level structure at the edge and within the Sunnyvale Heritage District Neighborhood is an incompatible choice, according to many, as the site is not well-connected to the roadway network. The site is surrounded by two-lane former “horse and buggy streets” residential Carroll, S Bayview, S Sunnyvale Ave and Old San Francisco Road, with limited access. It may be like jamming an endless number of sand particles through an hour-glass timer within the neighborhood and slowly waiting for the particles to sift through the narrow funnels. NOTE: The street in front of the illustrated PAMF building is NOT a wide boulevard as drawn. It is currently two-laned Old San Francisco Road with stop signs at Cezanne and Bayview.